Retiring abroad can be a great way to secure a fun and affordable lifestyle for years to come. Of course, you'll need to plan out some important logistics if you think retiring overseas might be right for you. 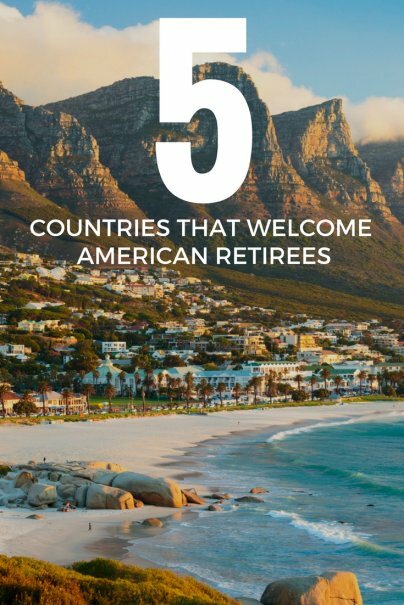 It helps that some countries have very welcoming policies for U.S. retirees who are looking to relocate. Here are five excellent countries for Americans to retire in. Mexico has many advantages going for it, which might explain why there are already a million U.S. citizens retired there. In fact, it has the largest established American expat community of anywhere in the world. Its proximity to the United States makes it easy to visit home. There's no shortage of direct flights to the U.S., and airfare is generally affordable. You can enter the country on a tourist visa that lasts for six months and then later apply for a temporary or permanent retiree visa. You will have to meet certain income or asset requirements to get one of these visas. 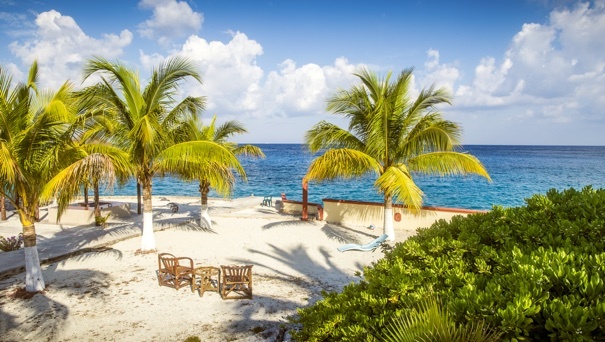 Mexico offers a vibrant culture, sun-soaked beaches, scenic highlands, delicious cuisine, and beautiful colonial architecture that all contribute to an enjoyable retirement here. Depending on what kind of community and lifestyle you choose, Mexico's cost of living can be a fraction of that north of the border. While relocating to Mexico is the perfect opportunity to brush up on your Spanish skills, you should also know that there are many English speakers that can help make your transition as smooth as possible. 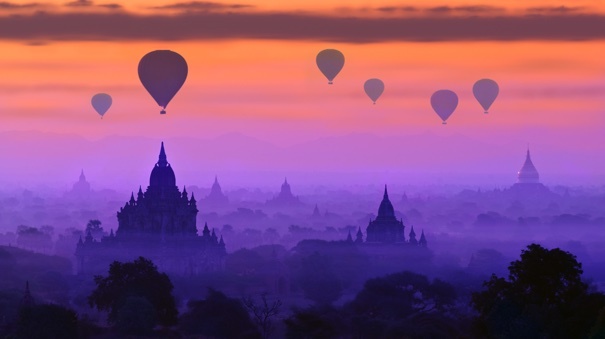 If you're trying to get the most bang for your buck, you may want to look to Cambodia, which has the best cost of living for U.S. expats, according to InternationalLiving.com. You can find a rental apartment for as little as $250 a month and eat out at a restaurant for under $5. The weather is warm year-round and there is an abundance of cultural sites to visit, such as the temples of Angkor Wat located on the site of the ancient capital of the Khmer Empire. Some challenges might include learning the local language, although there is a significant expat community and many locals speak English as well. And while buying a condo above the ground floor is much easier for expats these days, thanks to a 2010 law, foreigners looking to buy land will encounter more restrictions. If you specifically want to buy property abroad you might be better off looking elsewhere. 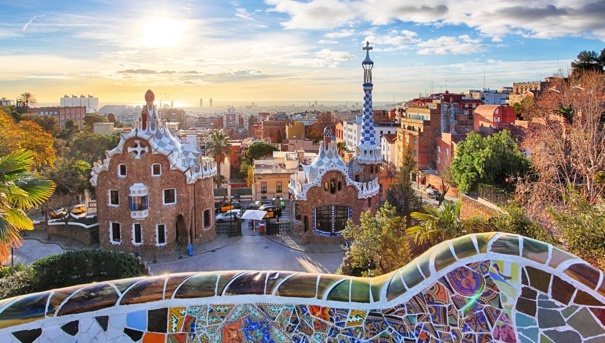 If you want a European lifestyle without the hefty price tag, Spain may be the perfect option for you. With the greenback doing well, European destinations are becoming more affordable for retirees with dollars. Rent is variable but you can find a place for as little as $500, and a dollar can often buy you a beer at a local bar. Spain offers a temperate Mediterranean climate in the winter, although summer can be hot, with temperatures rising to over 100 degrees Fahrenheit. 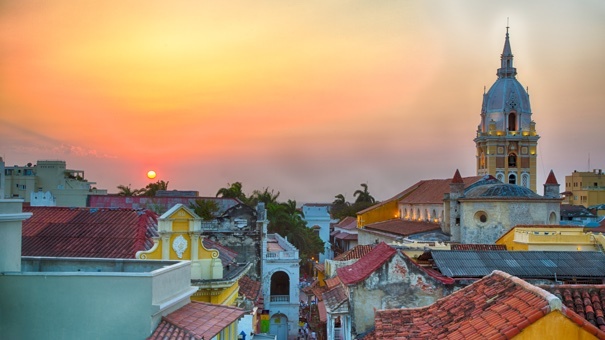 Colombia is an attractive place for retirees for a few reasons, including the warm climate and affordable high-quality health care. Plus, there are many direct flights to and from the U.S. for reasonable fares. For instance, you can find a round-trip ticket from Medellín to the states for as little as $350, which is less than some domestic tickets can cost. Medellin has changed dramatically since it was dubbed the most dangerous city on earth in the early 1990s. The colonial town is now charming, with parks, museums, and plenty of other cultural activities to keep retirees busy and entertained. 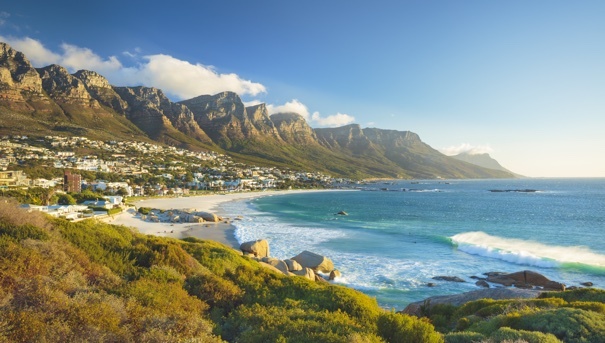 South Africa is a country of stunning beauty and diversity for retirees, with both an expansive coast and mountainous landscape offering many opportunities for outdoor recreation. The country's crown jewel is Cape Town, but Johannesburg is also a cosmopolitan city with many cultural offerings. Rural areas offer ample opportunities to see exotic wildlife and experience diverse ecosystems. The temperate weather is another great draw for people who are considering moving here. The cost of living is attractive, too. According to Numbeo, consumer prices are 44% lower in South Africa than in the United States and rent is nearly 50% less expensive, so your retirement funds will go much further here. While crime is still high in the country, if you stick to the right neighborhoods and take precautions, you can stay safer. English is the language used for business, politics and the media, so it's easy enough for Americans to get around. There are two visa options: a retired person's permit, available on both a temporary (four-year) and permanent basis; and an independent financial person's permit. The main qualifying criteria for both of these options is that the applicant is able to support themselves financially.